HDevRunner is the perfect combination for MVTec HALCON to deploy your algorithms to customer machines - fast and easy. No more C++ or C# development needed. In addition, the Professional Edition runs your scripts on multiple images during development simultaneously, which allows for very fast feedback on the performance of your algorithms in different test cases. Start Center for HALCON is a small utility that lets you manage multiple versions of HALCON installed on the same machine simultaneously. The PDF files must be printed with a high-quality printer. We recommend sticking the prints on a rigid, flat support, e.g. a glass plane. 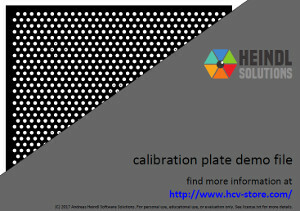 The printed PDF calibration plates are only suitable for test purposes. Please find more of our machine vision software products in our B2B store at https://www.hcv-store.com/. We offer and support standard Extension Packages for HALCON. HALCON can be extended with custom operators via so called Extension Packages. Besides developing customized extension packages for our customers, we provide and support useful standard extension packages. 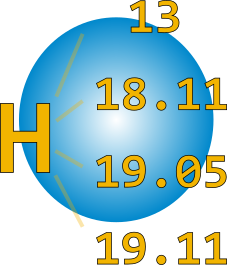 The Extension Packages can be used from within HDevelop, but are also usable for execution with runtime licenses and from other programming languages.